It was my Birthday yesterday. Had no plans but the had so much fun. Midnight cake cutting with Family, delicious food and chilling with friends. I have 4 cakes lying in my refrigerator , don't really know how am I going to finish them. They are my FAV flavor Choco Walnut, but still 4kg cakes..!! As I already mentioned it was my B'day so I thought its perfect occasion to have a giveaway..
Guys I am hosting my first ever giveaway sponsored by AHAI SHOPPING. Ahai shopping is a Korean and Street style women fashion clothing online shopping store. They have beautiful clothing, Jewelry accessories and swimwear too. Wether your style is very girl or edgy or very casual or classy , you will surely get what you want What I like the best is there $ 9.9 world wide free shipping section. 2) $15 cash bonus to winners if there are less than 100 valid competitors. 4) Leave a comment on this post with your Facebook Name and url of item you want to win, so that we can know who participated. Its an International Giveaway, Open worldwide. Really wanted to post this on my B'day itself, but you know how it is on on b'day so many gusts , friends and presents. Please show some love and enter my Ahai Shopping Giveaway..
Help me get more then 100 entries and win clothes costing $30. Great giveaway doll to bad I do not have facebook. Happy B day, great post. Happy birthday, dear! :) Hope you had a great one! beautiful dresses! thanks for the comment! Happy B.day, and i Love everything! Nice giveaway and done the necessary. Happy birthday dearest. Liked your page and I realized that by liking, its easier to be updated on the latest post. i like the blouse with the kisses. love it. let's follow each other?? kisses. and congrats for your blog. I'm happy you had fun! Great giveaway, and Happy B-day honey! Looks like some beautiful pieces from that store. And happy belated birthday! Of course I'd love to follow one another. Felicidades por tu cumpleaños y gracias por lo del giveaway. Happy birthday! Sounds like you had a really great time!! Always be happy and make your dream come true! Hope you enjoyed your birthday. Happy birthday in arrears Pooja. Time with friends and family is awesome. belated happy birthday dear..have done all the likes, but need to go theu their fb page in detail to select the url what i need..that might take time..will come back here again after i have made my selection. Hope u like back my page too...The Pick'y Bank. Congratulation a day after, i hope you enjoy your special day. Great Giveaway and Belated Happy Birthday to you!!! I did everything but the google+ as I don't have one. I don't know if I can be entered or not. But I need a jacket and like the beige one with the navy down the sides. Those are great price and the clothes are so cute. Happy B-day my dear Pooja!!!!! I just love your blog, we should follow each other! Please let me know if you want! Não sei se fiz tudo certo, meu tradutor não conseguiu traduzir todas as palavras e comprometeu o entendimento. Depois me fala. Sounds like you celebrated your birthday in a perfect way! 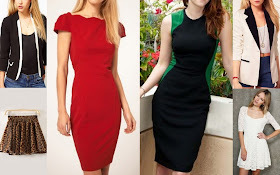 Lindas roupas, super amei o vestido preto com verde s2 beijos. Happy belated birthday! And thanks for having this awesome giveaway! I'm sure you had lot of fun with your family and friends . Happy Birthday, amazing giveaway. I will enter once I have seen the items I love on the site! Hello babe :) happy birthday ! I'm following you now !! late best wishes for your birthday! What an awesome giveaway and thanks for sharing. Belated happy birthday too. Clothes are lovely! And my three daugthers need a new winter collection! Thanks for this great idea (specially cause you make it over worlwide, so I have options), and happy birthday! Hi, just found your blog, love it, and better with the giveaway! It took me forever to reach the bottom of this page. :) I hope you can manage to read all these comments and Happy Belated Birthday. How are you going to ship us the item if you didn't ask for our addresses'? Do you do that after for the winner? great post! happy birthday! nice giveaway dear... following you now! i hope to see you in my blog sometimes. thanks! 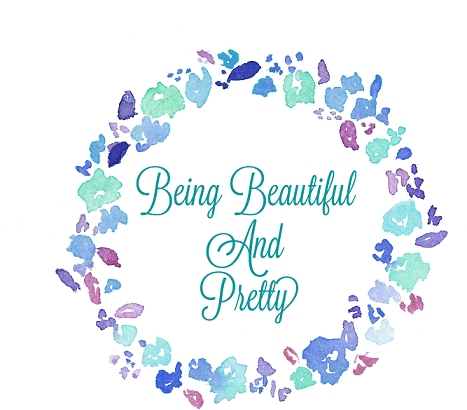 fab blog! I love this outfit! I'd love it if we could follow each others blogs, drop me a comment if you folow mine, and I'll happily follow back! happy bday even if I'm a bit late! Happy bday sweetie .. Awesome giveaway ! HAPPY BIRTHDAY TO YOU SWEETY!!!!!!!!!!!! WISHING YOU ALL THE BEST!!!!! I am a little late, but still, happy birthday! I wish you all the best and good luck with your plans. I sign. imma'm on FB. I would get this piece. I think it's ridiculous that you have to get 2 pieces instead of 1 for the same price, but that's not your fault! and I don't know what I'd pick from the other one. They have a lot of good dresses for $30. I also read that the $15 bonus for less than 100 is only valid if you spend $100!! But, Happy bday!! Thanks for the giveaway! beautiful giveaway..entered today sorry for delay..
AM FOLLOWING YOU WITH GFC , WANNA FOLLOW BACK ? I fulfilled my job! I follow you need to complete the game! Hiiii.. I participate with great pleasure! Hi dear, glad to help you reach 100 participants! Happy birthday! I thought the clothes beautiful.